An RA healthy diet is basically a well-balanced diet that is low in saturated fats, high in Omega-3 fats, and full of brightly colored fruits and vegetables. Bright colors are like signs to show us where the powerful combinations of antioxidants are. People with Rheumatoid Disease also need plenty of cell-building protein, iron, calcium, and other minerals. While no food can cure Rheumatoid Arthritis, diet can play a big part in living as healthy as possible with RA. There are obviously many personal conditions which lead to various restrictions and these lists are only general suggestions. **Pro-biotic foods are supposed to help with several things including absorption of nutrients. They might be used in moderation for those with autoimmune diseases because it is believed that they boost immune function. Still a controversy whether that is a good thing. One sip at a time: Buy strong juices such as blueberry, pomegranate, acai which can be very tart alone, and add a little of them all day to drinks such as tea, or fresh lemonade, or sparkling water. Master recipe strategy: Find an easy recipe that you like and switch out different healthy ingredients each time to keep it from getting boring. Check the lists: Print 2 lists of healthy ingredients you want to add to your diet. Put one on the fridge to remind you to add them to your dishes. Put the second one in your wallet, so you can remind yourself to put those items in your shopping cart or order them at a restaurant! Keep the favorites fresh: Try to add new ingredients from “healthy” lists to your favorite recipes. Plan for the worst: Plan healthy fallback meals for when you are not able to cook. Ask the doctors: Have your primary doctor look over your lab results periodically giving you suggestions of supplements or foods to add to improve any deficiencies you have. Check out the ideas folks are leaving on the blog here. << Back to main RA Kitchen page. Has anyone heard of Bitter Cherry Juice helping RA symptoms??? 2 people have told me it is supposed to help. Tart Cherry juice does contain anthocyanin compounds that are known anti-inflammatories. It also helps to reduce the build-up of uric acid in your body, and is supposed to be very helpful for gout sufferers. I think from what I’ve heard, the anti-inflammatory effect of drinking tart cherry juice may be on par with taking ibuprofen – which is probably not going to do much to touch RA. Nonetheless, it is a healthy juice, and certainly can’t hurt! The company I work for actually makes tart cherry juice, and by itself, it’s a little much for me, but blended with other juices or sparkling water, it tastes good. I find that pro-biotic drinks lessen the diarrhea I get from taking Methotrexate and Planquil! There is mention here of eating foods with high concentrations of antioxidants – in particular, blueberries and the acai berry are mentioned. Of the top antioxidant food sources known, are you aware that according to the USDA unprocessed cocoa tops the list, acai berry is number two and blueberry is number six? Until recently, raw unprocessed chocolate has always been too bitter for most people to be able to eat but new technology blends unprocessed cocoa, acai and blueberry into healthy (low fat and low sugar) chocolate treats that taste pretty good. It’s been wonderful for a couple friends of mine and my daughter. The anti-inflammatory properties of the antioxidants has helped them a lot. There are products that also include the Omega 3 fatty acids and probiotics. I have intentionally not listed my Facebook pages nor my web site because (from past experience) I will simply appear to be trying to sell something and will upset somebody. If anyone really wants more information, you’re certainly free to email me but I get rather offended by those with rules about mentioning (leading toward) such Internet presence. I read here that if anyone has something that might help to improve the quality of life for people with RA that you would be interested in a post. Well, there it was… if anyone takes it as something other than just trying to be helpful then so be it I guess. What is the brand you purchased? I read that cacoa is not the best for anyone…but haven’t been able to find the chocolate you speak of…thanks! Unfortunately, I really have to disagree with some of the foods being promoted. 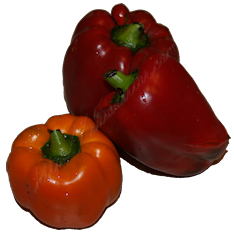 Nightshades for example (tomatoes, potatoes, peppers and eggplants) are really detrimental to some suffering from RA. And this can be found out my doing a simple test. Not a food allergy test, b/c RA patients are not allergic to them but a sensitivity test b/c most of us are intolerant to them. Furthermore, anything containing gluten in it should be avoided by RA sufferers. 95% of RA patients happen to be gluten intolerant. And eating this gluten is sometimes what triggered our RA to outbreak in the first place. Doing a simple DNA test for gluten sensitivity will show this. If you carry the gene you must stay away from gluten if you want to get better. Either that, or get some really good drugs that mask the symptoms. On a final note, it has recently come to my attention that Omega 3s are actually counterproductive for those suffering from RA. RA patients are CATABOLIC (dysaerobic) – Too Many Fatty Acids: Inducing sustaining for – Insomia, Diarrhea, Oliguria, Bradycardia, Hypotension, Rheumatoid Arthritis, Rapid Aging, MS, Gall Bladder Colic, Colitis, Crohn’s Psioriasis, CVD, Non-Solid Tumor Cancers. So for patients suffering from osteoarthritis, Omega 3s like fish oil will benefit them. But if you are suffering from RA you want to steer clear! I am newly diagnosed, but in early in December 2011 when my flare up began, I consulted a nutritionist/friend, who told me that nightshades are not good for inflammation,(eggplant, tomatoes, potatoes, peppers) and hot spices, as well as white flour, sugar and fried foods, etc. (on a good note, yams and sweet potatoes are a tuber not a nightshade). I am not a breakfast person but had already been having a very nutritional shake (I won’t name the brand as I don’t want to be perceived incorrectly here), and on her advice, have been adding hemp, chia and raw cacao along with greek yogurt to it. Of course absolutely cutting out all those fun foods ins hard, so I have been living consciously about it and foregoing them when possible (substituting xylitol for sugar) so that when I am dining out or at someones house I eat smaller portions of “bad” stuff. I also wanted to thank you, as a newly diagnosed person, for such a comprehensive site, the information you posted on MTX got me off a “ledge”, I was so freaked out by looking up too much information that I went into a big tailspin one night. Also my best friend has been living with SLE for over 20 years, so I have heard of most of the meds I will be getting (mtx injections, plaquenil and sulfasalazine), but ….. sometimes I get the worst case scenarios from her. So again, thank you, thank you, thank you! If I could give you a great site to share, there are some great free publications on it as well as other information, http://www.arthritis.ca . It’s good because like your site, there is alot of info all in one place, and they have a great great medication guide (35 page pdf file). I think that all of us are unique, RA or not, and there is no one diet with inclusions or exculsions of certain foods that works for all of us. If it were not for some pretty scary meds, I wouldn’t even be able to comb my own hair (been there). However, I do notice that if I don’t eat a good variety of mostly vegetables, fruits, whole grains, healthy fats, and soy (thank God for soy products as I can’t have much dairy and have trouble digesting very much meat), I really don’t feel well. What I do is not a special diet that my doctor told me about, other than to eat healthy, but one that I realized worked for me by just paying attention to how I felt after eating too much meat, etc. It isn’t a cure-I wish it were that easy-and I can’t even say for sure that it helps with the pain, but I do know that I don’t feel sluggish as often and my digestive system is happier when I am a good girl and do what works for me. Kelly, thank you for your post. Whenever I get one, it is the first email that I read. I agree Charlene – I’ve come to the conclusion that there is not one specific diet that is the healthiest for all of us – we are too unique in our responses to foods, even if we are not sick. It’s more reasonable that we find healthy ingredients and strategies that work for us and make us feel best. I don’t have any foods that seem to affect my disease in any way – I already ate healthy & exercised when it became full blown, but some who did not know me insist that if I’d just try to diet & exercise then my disease would be cured. I just wish, like you said. I am so glad I found you! I was diagnosed with a mild case of RA in 2012 at age 40, but have been suffering for years with symptoms. (Let me say, if I feel the way I do with a mild case, I cannot imagine living with a moderate or severe case. My heart goes out to those. ) I am in the midst of a flare up and just today decided to look for inflammatory diets. When I found your list of foods, I marked it in my homepage for easy reference! Thank you! I look forward to reading the rest of this site! Nutrition is very important. However, some foods that are anti inflammatory may cause you inflammation. I have been diagnosed with RA in 1996. I had a test called the ALCAT blood test in which foods were tested on my blood. The very foods which I ate to help reduce inflammation were causing me more harm than good. I drank cherry juice, papayas, ate sardines and turamic. They were all very inflammatory to my blood. 90days of avoiding all foods that caused me inflammation relieved my inflammation drastically. I hope this helps others. I no longer take any meds. and no I still do not have the joint damage they keep telling me I will have if I don’t take the toxic meds. I do take vitamins and any supplements my body needs to repair joint damage. I can no longer workout or play guitar or run with my best furry mate any more due to the pain what do other RA sufferers do to be happy? Ive read that icecream and coffee (my two favourite comfort foods)are now off limits as well. Is this true? Im also confused about dairy, many websites and books say to avoid completely yet many medical websites recommend it.Ive noticed parmesan and icecream on the list above. What are your thoughts? There are some who say it helps to eat a certain specific diet but that has not been shown to help most people attain remission – If you find something helps you (eating OR avoiding), then you should. I have just learned that RA can be put into remission by eliminating all dairy products. A friend of mine’s mother in Romania has had success with this for a year, permitting her to have removed herself from the horrible side effects of methotrexate.